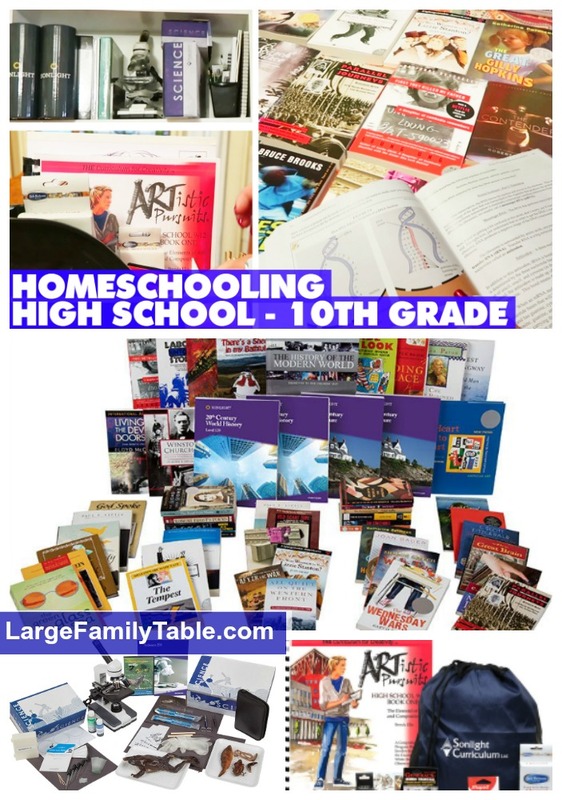 Homeschool HIGH SCHOOL Curriculum Choices 2018-2019 | Sonlight, Biology, Japanese, Art & More! In today’s homeschool high school vlog I’m sharing our homeschool high school curriculum choices for this upcoming 2018-2019 homeschooling year! My 10th grader is doing Sonlight Core 300 focusing on 20th Century World History. Sonlight curriculum core 300 includes Biographies & Historical Fiction, Bible / Apologetics, 20th Century Literature, and Language Arts which includes literary analysis, creative writing, research, and essay skills, with weekly writing assignments in a range of lengths and topics. For homeschool math, he’s using Saxton math (shown in another homeschool haul vlog, but not in this one). For homeschool sciences, he’s doing 10th-grade biology. And for electives, he’s doing foreign language (Rosetta Stone Japanese) and high school art. He’s also doing lots of traveling and sightseeing in the coming year so that goes along with homeschool learning, too! Much of this he’ll be able to do independently and I’ll check in, discuss, and guide as needed. Click here to watch the full Homeschool HIGH SCHOOL Curriculum Choices 2018-2019 | Sonlight, Biology, Japanese, Art & More!